White Tears is a supernatural mystery, a horror story, and ultimately a tale of black Americans’ historical exploitation by white profiteers ... The book is moody, threatening, and profoundly dark; Kunzru’s prose has a Delilloesque density, constructing settings and atmospheres so charged and vivid they seem to envelop the reader in a miasma of mise-en-scène. Carter and Seth’s work, and the idealistic gloss they layer over a creeping sense of historical guilt, receives no artistically optimistic reading from Kunzru ... White Tears isn’t exactly a re-centering of black experience, but a collapsing of the white hero mythology that often guides American movies, books and TV shows that nominally address black culture. It zeroes in on an impulse that yearns to be pure, uncompromising and compensatory, finding the nasty worm of entitlement and exploitation that’s burrowed at the heart ... At every turn, Kunzru’s words concoct a dreamlike world where the past isn’t dead, nor even past, and the boundaries of reality flicker at the margins. For a nation seduced by a fantasy of white appropriation, maybe a horror story of white appropriation is exactly what we need. Kunzru’s graceful writing is exquisitely attuned to his material. Seth’s integrity as a narrator is so convincing that at first the frequent jumps into an uncannily familiar past feel like a counterpoint melody that will resolve by the last page. But it’s neither a clever Time and Again story of time travel nor a tricky Westworld sort of past-present parallel. White Tears is a profoundly darker and more complex story of a haunting that elucidates the iniquitous history of white appropriation of black culture. ...what is most impressive about this truly impressive novel is how integrated these apparently disparate parts are, how White Tears reads less like a grab bag of Kunzru’s obsessions (a crucial word in this text) than a coherent, if disturbing, vision of what America has meant and continues to mean ... In leading us surrealistically toward the heart of the blues, White Tears offers a realistic, far-ranging analysis of how capitalistic accumulation depends upon exploitation and how frequently this exploitation has depended upon racial violence. 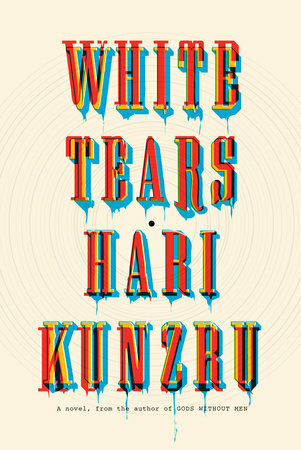 This balancing of the nightmarish and the clear-eyed is superb, and White Tears is Kunzru’s best book yet. What did you think of White Tears?